We (yes we, I'm wearing navy blue today - so I helped) finally beat Michigan - and in Ann Arbor (who is, still, a woman of questionable moral character, which is what I like about her). No rest for the weary, the Lions are now playing Illinois. Per GoPSUsports.com, Dan Connor has been named as an Athlon Preseason first team All American and All Big Ten. 10 other lions were named to the 2nd and 3rd All Big Ten teams. What Football Team Are You ! Tough is what you are. Fighter, been through it all, and still fighting. You may not be the best at everything but you see the future as great and you see the big picture. (and) By the Ladies at Ladiesdotdotdot on their sports commentary - especially regarding their recent coverage of Pittsburgh Steelers head coach Mike Tomlin. 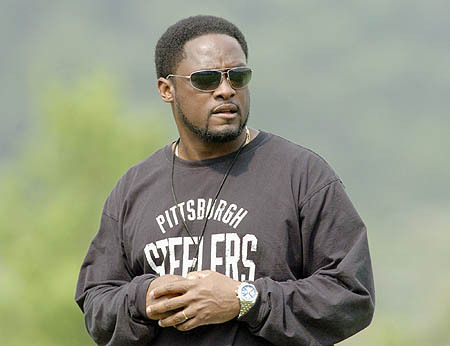 As was suggested in the Comments - Tomlin does have both Omar Epps and Lawrence Fishburne qualities - which are, interestingly, most notably interchangeable through the wearing of sunglasses. They've posted a lovely photo of Coach Tomlin - which demonstrates the "Fishburne Affect" - and, sadly, displays a band of gold. Antonio "Tony" Christopher Hunt has a Philadelphia Eagles roster number - 29. 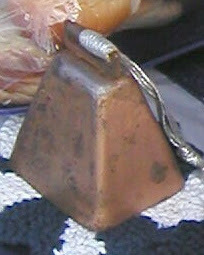 Only 2 (AS & CB) will be held for trial. All other charges dropped or thrown out. It's where I get all of my up-to-date PSU info (at least today). I got scooped by a dang Florida site. So, thanks to EDSBS, we now know that PSU not only had implemented at "lottery" system for student tickets (no doubt in an attempt to quell the Paternoville epidemic) but they've reversed that decision and are going back to the "first come first serve" method. But, see, in the Pros they do this weird "name on the jersey" thing - so I guess memorizing the numbers isn't as crucial.